I absolutly disagree with jfullmer. Tony is a good man and has helped me out a lot. I love his preaching and podcast. Please keep on preaching Tony. Tony is a Godly man faithfully serving the Lord. I've recently found him and am greatly blessed by his solid preaching & teaching of God's Word. I pray and trust you will be blessed as well. Please pray for Tony & his family to continue this beautiful ministry. I highly encourage all to listen to this young man. I've been listening to this podcast for over a year. I've been faithful to study the bible rigorously. However, with life being what it is, listening to these readings has been a wonderful supplement to my studies. I would highly recommend this podcast to anyone interested in hear the Word. The only thing that would make this more interesting is if it were being recorded live from a street corner. 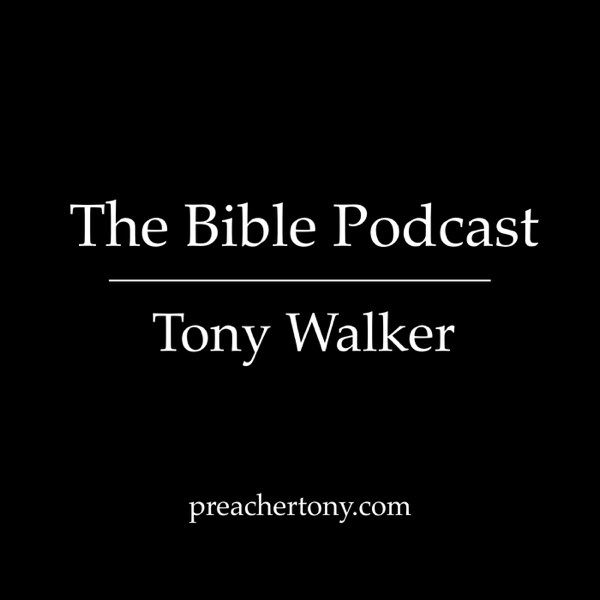 I have been downloading the podcast of Tony Walker's sermons from day one, for a couple of years now. The Lord is truly speaking through this young man. May God bless him as he continues to strive to share the Gospel of Jesus Christ each week via this podcast. Tony, my brother in Christ, preach on! Everyone is entitled to his/her opinion, and in MY opinion, the Bible Podcast is a very well-done piece of ministry that gives people like me a means to hear about God's word without having to worry about a preacher's personal opinion tampering with the true messages found in the Good Book. After reading of the tragedy that befell this young man when he was a boy, some might say that he is unfortunate, unlucky, or unblessed. But I believe that Tony is a VERY blessed person to possess the wisdom he does at such a young age. Although the road of life can seem unfair at times, just try to remember that EVERYTHING happens for a reason, and that if you can overcome these obstacles by trusting in the Lord, then you will be able to see the positive things that can and will come out of those situations. Although Tony suffered through the things that he did, it may very well be these things that set forth in motion a chain of events that will ultimately end in Mr. Walker bringing a vast number of people home to the Heavenly Father. God bless you Tony. I recommend listening to this. I also recommend checking out his website and reading his testimony beforehand. I feel this represents the some of the worst of evangelical Protestantism - simplistic, naive, contradictory, and even a little mean spirited. "Thankfully we don't have to deal too much with the Muslims here in America" he says (great spirit of love). The worst is in "Answering the Catholic Answer Bible", he mocks the statement that the Bible can be difficult to understand but in another podcast, clearly skirts around fascinating doctrinal issues found in St John 9:2, asking listeners to email him with their ideas of what it means. The Bible is God's word and requires study and prayer to understand it in truth - not over-simplification. I will be using this in my Sunday School class for how not to appoach the Bible. I love this podcast. Tony does a great job exploring the Good News in a way I don't hear where I live. This made-for-radio show's 15 minute hard-stop keeps him moving along. I appreciate Tony's honesty and thirst to dig deep. Listen to a few episodes and see if you don't learn to love his style! Tonys podcasts are well done. Excellent audio and straight from the Bible teaching. Very refreshing. I highly recommend them!